Tottenham Hotspur kick-off their post-Christmas schedule against A.F.C. Bournemouth on Boxing day at Wembley Stadium. Spurs gave their fans an early Christmas present with maximum points in their trip to Merseyside on Sunday with a 6-2 victory over Everton. Ahead of their Boxing Day visit from the Cherries, boss Mauricio Pochettino spoke to the media. Christian Eriksen has just 17 months left on his contract at Tottenham and Spurs are desperate to get the Dane to extend his stay. However, there has been a lot of uncertainty around the ongoing saga as it seems progression on a new contract has stalled. “Football is so dynamic. It is changing every day, every season. You know it’s many things you depend on: not only your decision, it’s the player’s decision. “Of course, the decision is going to happen, at the end of the season, or another decision is going to happen in the next few days, in January," the Argentine said. Eriksen netted Tottenham's fourth of the afternoon on Sunday against Everton with a stunning half-volley from outside the box. “I hope we are going to keep the best decision for the club, hope that the player can take the best decision for them and for their future and the club. “I think we (have) created a massive platform that the players are enjoying," he added. Spurs face Bournemouth in their 19th Premier League game of the season. "We fight a lot, all together, and we are doing a fantastic job, but now we have to prepare for the game against Bournemouth - because it is going to be a tough game. "The competition does not wait for you, what happens a few minutes before does not count, and you need to show again your quality - and that you are ready again to compete for a competition which, for me, is the toughest in the world," the 46-year-old said. The Cherries lie in eighth place after a strong start to the season. 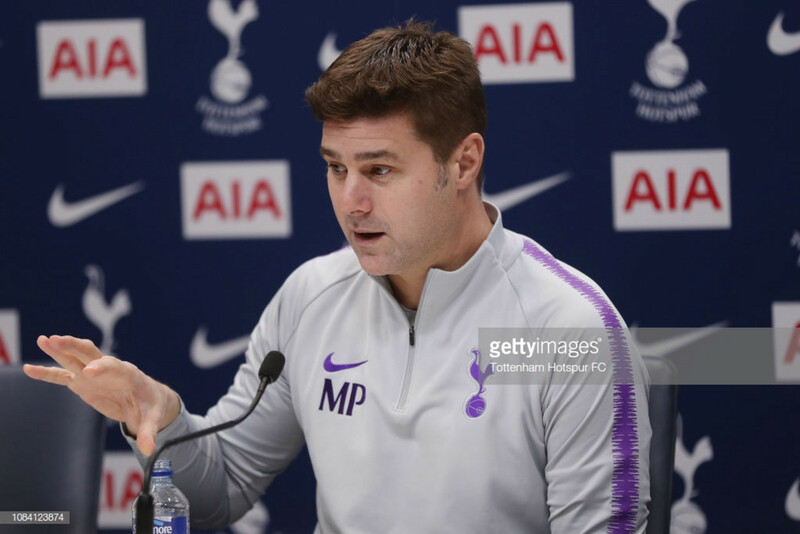 "Remember, I told you in the first press conference after the World Cup, it was going to be the most difficult season for us," Poch added.